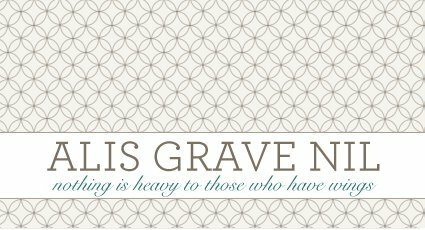 alis grave nil: A little good, a little bummer, and a little pretend shopping. A little good, a little bummer, and a little pretend shopping. *Not really, though. Good and bad but both under the umbrella of the stability and joy we have in our lives now. Things are rough, but we have each other and I am so grateful for that blessing. No matter how much I might need to whine about the speed bumps. Mkay? So... good: E got hired. He got a job. He's been basically looking for anything that pays since July. His (unpaid) internship is going fine, but it's costing us near $50 a week in gas for him to make the trek up to Lake Tahoe for a day of work, so that's not exactly helping with Operation Don't Go Completely Broke. Good experience, though. His job is with a local auto parts store. Yep, we're right back where we were in 2000 when we got married: he's working the counter at an auto parts store and I'm teaching ballet. The circularity astounds me but I am still grateful. In this economy it's a blessing to have work--any work. Yes, it's humbling that he's got an entry-level job when he has his J.D., but it's going to help us pay the bills. It's momentum and I'm proud of him for taking it on. The other good thing that happened was that he got an interview with a local attorney for a full-time paid internship. That's happening this week. Who knows what will come of that, but it's nice to have opportunities when we've been stuck in the desert of unnoticed resumes. I think this auto parts thing is good because like I said, it's momentum. I feel something happening for him. We're moving forward, finally. Bad: E didn't pass the Bar--yet. He got his results last night and he didn't pass when he took it in July. I've been thinking about how to dress that up since yesterday but as always I feel like there's more sense in honesty. In that spirit, it's fair to say that it's a bigger surprise to other people than it was to us. Please don't misread that as lack of faith in my husband--in fact it has nothing to do with that--but he and I both knew the reality of his situation and how those three days went this summer so we were expecting it and planning for it. At the time he took the Bar he didn't have his sights set on a legal career. We had just started to patch our life back together. Things were not stable. Now that's changed. He's registering for February and moving forward. No shame in that and I admire his dedication to this difficult task. I'm proud of him for getting through law school when his family was falling apart, and for being a model of perseverance to his children. One day when they're old enough to understand, this will be an important piece of how they see their dad. I can see you thinking this might be embarrassing for us but it isn't. I feel like sometimes it just takes people longer to get to the same place, and that's okay. I'm not ashamed. I love him so much and I know he can do this. I know he will do this. The hardest thing for me (and most of this I had to deal with back in July or so) was mourning the loss of time ahead. I won't lie. That part was painful for me because it felt like a step back. The best thing about the Bar is that there's this sense of finality and being able to rest after it's over--and I'm talking from the perspective of a family member, not even from the perspective of the person taking the test. I wasn't disappointed in him, but I was selfishly lamenting the increased sentence we were facing. What I didn't realize at the time was that there were so many other positives in our life that it was/is going to be okay. This year has been a good one for showing us that you can make plans but there are just also things that are meant to be and things that are not. I'm still trying to find joy in the moment and trust that things will unfold as they are meant to. I'm still trying to focus on now, rather than an arbitrary date in the future when "happy" will start. Yes, we're stressed as heck right now about money, but our relationship is much stronger and it's different. It's good. Things will be okay. So now you're updated. Let's talk about something else. I'm a little restless today. I needed to clean the house for Roo's family party but I wasn't real motivated about it. I also had a headache most of the morning and I was feeling pretty lazy. This resulted in a day of sitting on the couch watching Beethoven and Apollo 13, and then some mindless online shopping dreaming. Tracy on the Cheap reminded me in a recent post about Modcloth, and I think I spent two hours tonight just perusing. I really love that store. Quirky and fun. I want to live in this dress. Cute, huh? I've also been lusting over Anthropologie and Express lately too. It's been a while since I could buy clothes so I'm starting to get the bug a little. Especially for shoes. I miss buying shoes. I'm kind of an online collector--I totally put things into pretend shopping carts without any intention of buying them. I just like to see things I want all lined up in little columns. See my Amazon wishlist for evidence. No reasonable person expects that much for Christmas (side note: nor do I) but I like to collect it all into one spot so I don't forget that those were things I wanted at one point. Do you know you can put stuff in your Amazon wishlist that's not even from Amazon? Crazy. I have mental lists running all the time: groceries we're out of, kitchen items that broke, things I need for the bathroom, things the kids have outgrown, movies I want to rent, lists I need to make... just kidding. I think I just have shopping envy right now. Who am I kidding. A trip to Target would probably do it for me at this point. 1st: There is no shame in needing to retake a test. Eric will pass! 2nd: That purple dress is freakin' adorable! Great post! It's great to see how much your hard work as a couple has already paid off. Mom and I are certain all of your and E's hard work will pay big dividends some day and it will make your family stronger. Good luck to E on his interview; we're rooting for him!